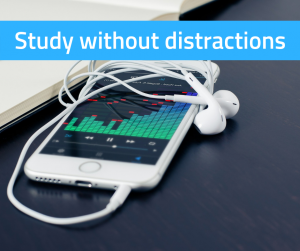 We can always promise study without distractions at the Study Hub. No phones are allowed when studying. It can be quite difficult to study in a home environment. You have noise from other people in the house and access to phones and televisions. This can cause a lot of distraction. At the Study Hub, you will have a quiet environment and the support you need to achieve great results.